The aim of this post is to quickly go through the setup process to get you started as fast as possible rather than an in-depth article. 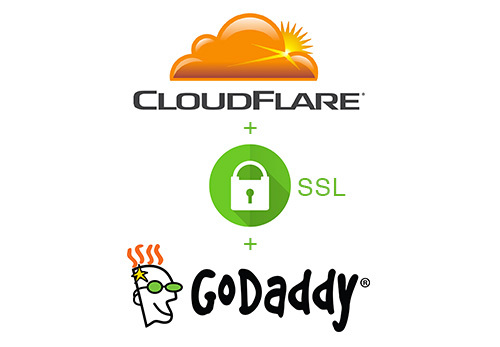 Let’s set up a free full(strict) SSL certificate provided by Cloudflare on a shared hosting plan from Godaddy. This guide lists each step to follow in order to encrypt the connection between your website visitors and CloudFlare AND from CloudFlare to your server using the free Cloudflare plan. We will explain why your site should be using an SSL certificate and how to set it up on both Cloudflare and Godaddy. Cloudflare briefly and simply explains this: “Use SSL in order to encrypt data, like credit card numbers, and other sensitive information while in transit to and from your website. SSL encryption ensures that communication between your visitor and website is confidential. You should already have setup Cloudflare but if this is not the case, you can signup and follow the provided instructions. 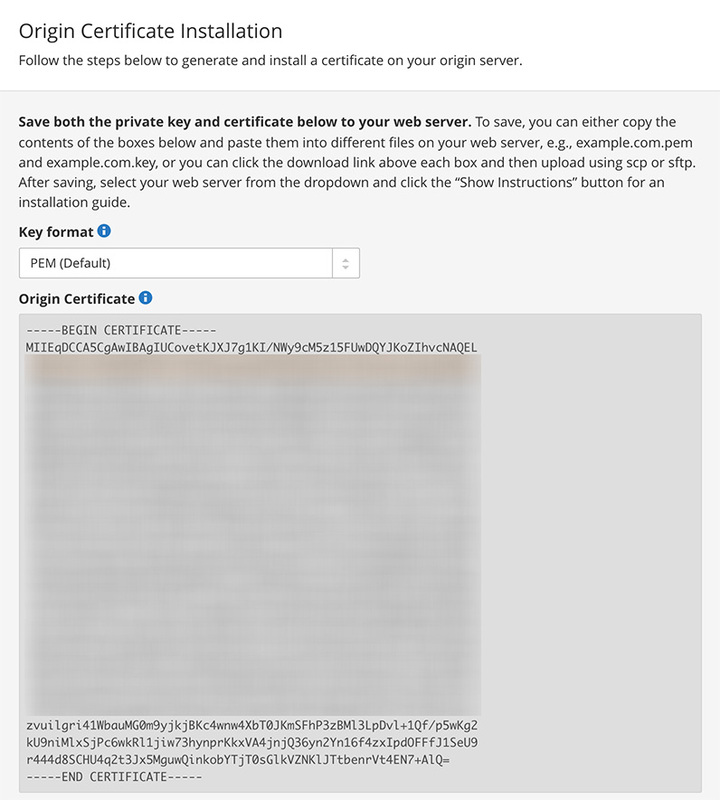 For more details regarding the creation of the certificate, you can follow this guide by CloudFlare. You should now be all set but do not yet turn the SSL to full (strict) mode as we need to install the certificate on Godaddy first. 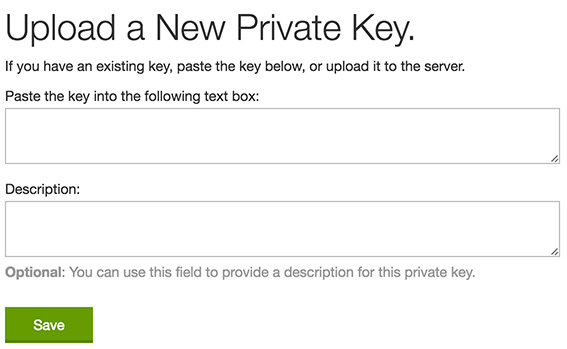 This is very easy as there is an SSL section in the cPanel which allows the creation or upload of the certificate and private key. It’s also where we will be installing the certificate. You should now be ready to use the full(strict) SSL on your website. Go back to the CRYPTO page on Cloudflare and select “full (strict)”. Make sure that your website works by loading it using https. Edit:As mentioned in the comment section, you should make sure that your website uses ‘https://’ URLs so you may want to add redirects rules and check that all content is loaded from secure URLs. Feel free to let me know if you have any questions or would like to add anything to this post. I hope it was as quickly and easy to follow as possible. Cheers!